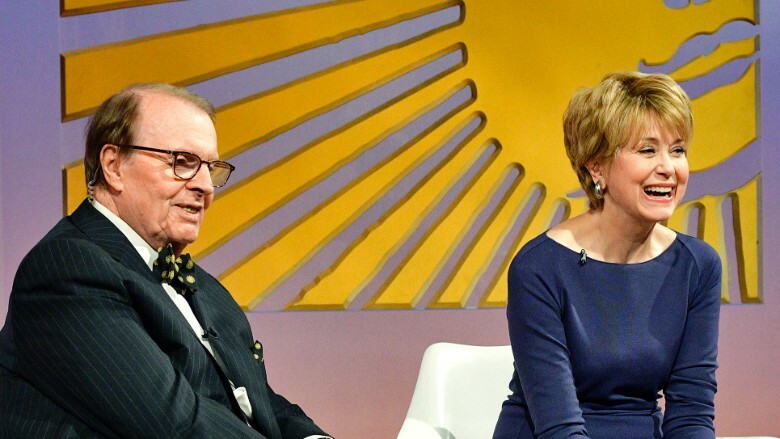 On his final edition of "CBS Sunday Morning," Charles Osgood introduced his successor, former "Today" show co-host Jane Pauley. The on-air transition will likely be welcomed by fans of the beloved Sunday morning newsmagazine. Pauley has been a popular substitute host of the broadcast since 2014, and she was considered the most likely person to take over for Osgood. Osgood, 83, announced his retirement plan last month, and Sunday was his final program. He will continue to appear on the show occasionally, according to CBS News president David Rhodes. "There's nobody like him, and there's no show like this show," Rhodes said in a phone interview. Pauley's promotion is -- in part -- a signal that the show itself isn't changing. Executive producer Rand Morrison is staying in place. And Pauley, 65, is well known to "CBS Sunday Morning" viewers. Pauley joined the program as a contributor in April 2014, a few months after the program profiled her distinguished career. "We first got to know Jane when we did a story about her," Morrison said in a statement. "Our viewers immediately responded by suggesting she belonged on 'Sunday Morning' permanently. And as is so often the case, they were right. She's a dedicated, experienced broadcast journalist. But every bit as important, she's a delight to work with. A worthy successor—and a perfect fit." She recently praised Osgood while speaking at the News and Documentary Emmys. "He's going to be missed by millions," she said. She asked aloud, "What will 'Sunday Morning' be without his 'presence?' His calm demeanor? His civility? His curiosity? His delight?" "For 22 years, the church of 'Sunday Morning' has had an officiant who reliably conveyed grace," Pauley said at the Emmys. "People will miss him deeply, because even in the worst of times, it felt like Charles Osgood could see the best in us."